The Acumatica Financial Management Suite includes a core set of applications designed for companies with complex requirements, yet are easy to use in smaller organizations. The Financial Management modules are integrated with each other and the other Acumatica suites, including Distribution Management, Customer Management, and Project Accounting. 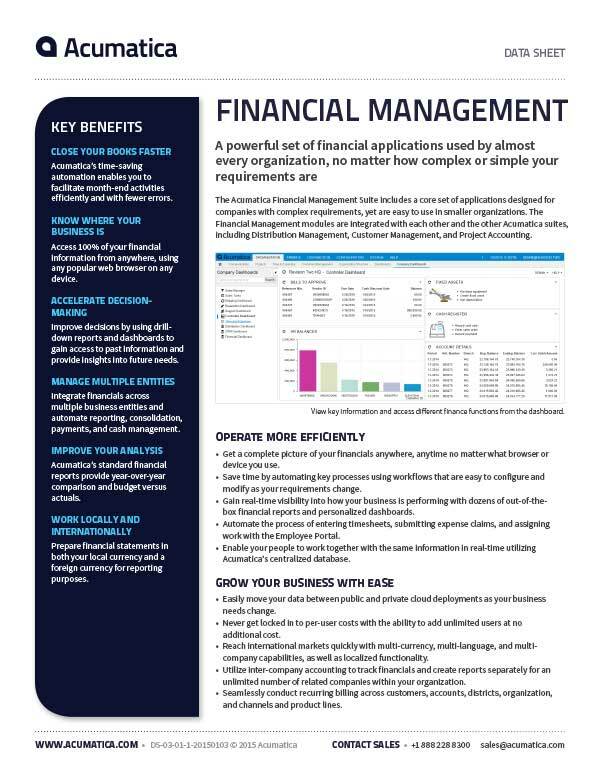 Download the Financial Management Suite datasheet to learn more.